Recently I discovered The Casketeers, a reality TV show following the daily goings-on at Tipene Funerals, in West and South Auckland. This quirky series has been a run away success and was recently picked up by Netflix. The Casketeers follows young funeral directors Francis and Kaiora Tipene, and their lively team, as they go about collecting bodies, dressing the deceased, modelling caskets, welcoming families, arranging funerals, singing waiata and officiating at funerals. These touching, poignant episodes are interspersed with delightfully comic moments, as we go behind the scenes in this family business. There’s the mystery of who raids the biscuit tins, the battle between the overspender and the budgeter, the funeral director’s too tight suit and perfectionist Francis’ love of the leaf blower and the carpet cleaning spray. It is lively and warm and funny and touching. In almost every episode, I have giggled at the banter between characters, and I have cried for someone’s loss. The tenderness and respect the Tipene team show for the deceased and their families, is deeply moving. They chat quietly to the deceased as they dress him or her, advising them gently of what is about to happen at every step, just as I once did with my newborn babes. They show incredible attention to detail, determined that the deceased will look their absolute best and that the funeral home will be impeccably presented. When I first heard about the Casketeers I wondered how they ever convinced families to participate. But once I tuned in, I realised there was something more important going on here. By respectfully sharing their work and the stories of the departed, the Tipenes are normalising the process of letting go. They show viewers how to simply be with a dead body, how to honour a loved one and how to embrace death as a normal part of life. We learn about Māori and Pasifika traditions for honouring a life. In The Casketeers, what could be considered a morbid topic, becomes heartwarming and life affirming. If we’re lucky, the times we need to engage a funeral director will be few and far between. And when that day arrives, we may not know who to engage or where to start. By allowing us behind the scenes, we meet the Tipene funeral directors as human beings and quirky characters. We see the gentle, respectful and caring way they work with the deceased, and their good-natured sibling-like banter reminds us that a little humour can get us through the toughest times. With sorrow and joy, The Casketeers makes the whole business of funeral directing feel more human, loving, embracing and approachable. This is the power of storytelling. This is the power of letting your customers see behind the scenes inside your business. I’m not suggesting you seek opportunities to star on reality TV. But I am asking you to consider how you could let the audience behind the scenes in your business? How could you demonstrate the care that you take over your work, in tangible or practical ways? Where could you break down barriers or shift taboos, by allowing clients to see the way that you work? What stories or case studies could you share? (Judging by The Casketeers, clients may be willing to share more than you expect). 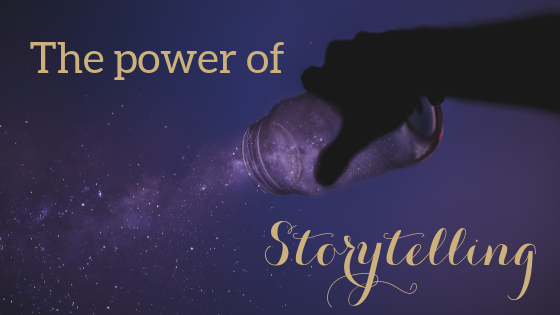 How can you use the power of storytelling to connect with your potential clients, or even change the conversation or perceptions around your industry? Finding and sharing the stories behind your business is one of the pillars of my upcoming Illuminate Messaging Lab. 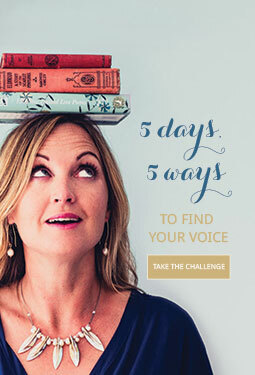 This Lab is a rich and deep experience where we go right to the heart of your work to find that message that will empower you to stand strong in your work and connect with your tribe. I’m gearing up for another round and I’d love to have you join me. Enter your name and email below to find out more.